The Polymer air break switch/Polymer goab switch is gang operated and outdoor Type. 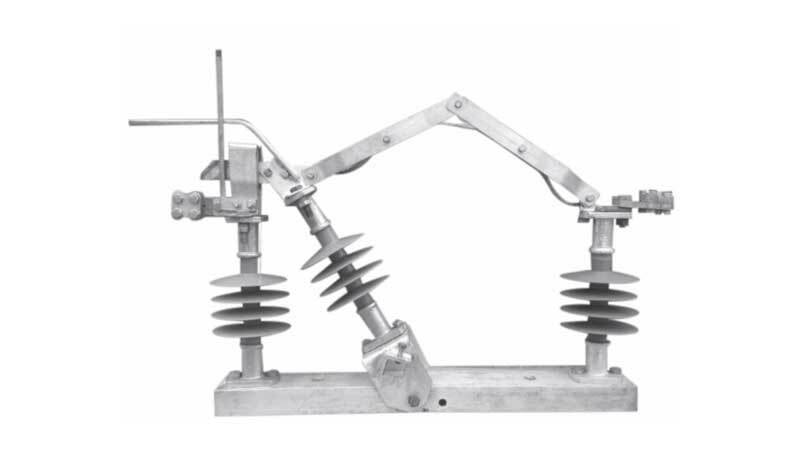 The main Application of load break switch polymeric Insulator is to isolate the Transformer, Overhead lines, System or Cables from distribution network. Our A.B. Switch have Two Pole/Triple pole construction and suitable for Vertical / Horizontal mounting. Each pole consist of galvanized steel base, Polymeric Post insulators, Self aligning type contacts made of hard drawn electrolytic copper/heavily tinned. The various parts accordingly finished to ensure interchangeability of similar components. Flexible braided tape is of EC grade tin plated copper of appropriate size to complete the current path from moving contact to fix contact.